Close to 600 people gathered in Balm at the Gulf Coast Research and Education Center for the 2018 Florida Ag Expo. The theme of the event this year was precision agriculture and mechanization. “We had great attendance and participation in our panel discussions and workshops,” said Jack Rechcigl, center director of the University of Florida Institute of Food and Agricultural Sciences Gulf Coast Research and Education Center. The opening panel discussion focused on precision agriculture and automation applications. Panel speakers included Brittany Lee from Florida Blue Farms, Alan Jones from Jones Potato Farm, and Wade Carter from Highland Precision Ag. The event also included various workshops and field tours. The hands-on workshops covered three main topics: postharvest issues, pest identification and disease identification. 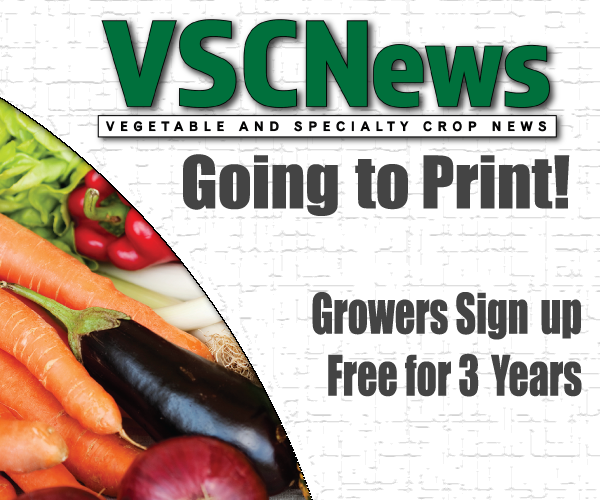 Growers also had the opportunity to go on field tours focused on plant health, plant breeding and alternative crops. 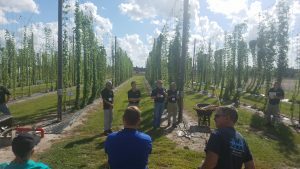 Rechcigl said Florida’s breweries have a strong interest in producing beer grown from local Florida hops. 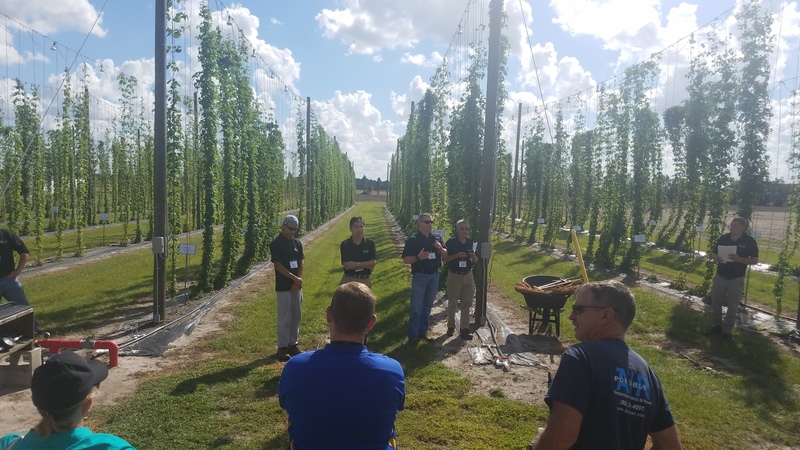 “Many local craft breweries have started producing beer from Florida-grown hops and are having beer tastings around the state. It’s been very successful, and there have been a number of reviews on beer made from our hops that have had very high ratings,” concludes Rechcigl.